Cindy x Ji-an series of vids by Lovey s2 【러비】 is complete. Part 3 was published today. DRAMA" is a typo. 1st & last eps were longer. 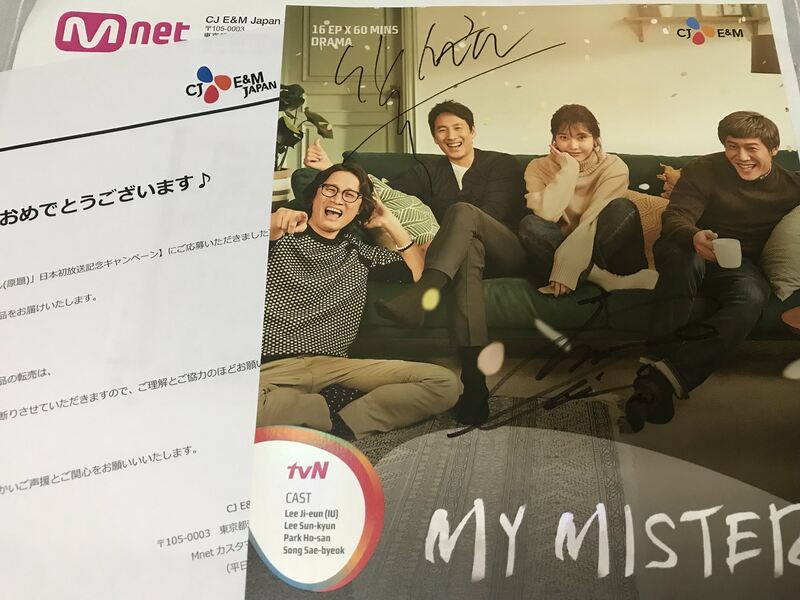 If I am not mistaken, this individual won the Lee Sun-kyun and IU signed Polaroid! Ive finally finished a drama! I completed Queen In Hyun’s Man last night and it was such a cute, at times heart breaking story. It is a time travel saeguk drama so completely different to MA but just what I needed. On a side note, I realise how cringy, cheesy some romantic scenes can be . But I do recommend it. I think thats just what happens after watching MA. Im still not over it though! I'm fi~nally done with my traffic signals analysis... at the risk of overanalyzing. They fit a little too well, so I think most, if not all, of these were intentional. Hope you enjoy! Thesis: Traffic signals are primarily used to indicate timing for Dong Hoon & Ji An’s relationship. [Ep 5] Ji An runs to check up on a suicidal Dong Hoon, but settles for looking over him from a safe distance. [Ep 6] Ji An gets worried when Dong Hoon lingers by the Han River bridge for too long, and rushes over to check up on him – from afar – until she confirms that he’s alive and well. [Ep 9] Ji An runs over to check up on a depressed, heavily breathing Dong Hoon. She looks over him from afar, all the way till he reaches home safely. [Ep 13] Dong Hoon thanks Ji An “for staying by [his] side”. Both tear up, and clearly long to be together. But they just can’t be. Not at this time. And that breaks both their hearts. [Ep 15] Ji An remembers how stern and upset Dong Hoon was with Assistant Manager Kim as he said, “I heard about everything”… and imagines that he feels the same way toward her as he said those same words. She tries to make amends to bridge the gap between them, apologizing over and over, from afar. [Ep 16] Dong Hoon and Ji An pass by Saman E&C and presumably are reminded of each other. They’re almost about to be reunited. I've finished About Time. It was cute and fluffy and a good way to pass the time, but I don't expect it to be anything like MA. I tell myself to adjust my expectations so I can enjoy other dramas. It's like reading books. I can enjoy other books, but there will always be those few that will remain my favorites and which I re-read from time to time. I never get tired of them. Same thing with MA. I reckon it will just take time. It took six months for me and Secret Love Affair and during that time I did nothing but rewatch the show over and over again, trying to figure out its magic. @seungshin I am still waiting eagerly to hear your thoughts! I am definitely lingering and deliberately slow in my rewatch with still 6 episodes to finish. I'm surprised that it's Ji An - Halmeoni's scenes that have consistently moved me to tears this second time around, and I think it will be different again with the next watch. Thank you for the update. It was lovely .. I could feel PDH urgency and his passion burning for jian. I cant let go but I must. Only time will heal the void left behind by MA. I was was not able to start any drama but I did end up watching few episodes Hyori bed and breakfast reality show and thoroughly enjoyed it. I don’t know what it is .. maybe the calmness of the place or the main couple who so seem so much in love or the pacing which kind of reminds me of MA. It felt slow and soothing . Or Hyori herself who seems so charming and a lovable person. Queen In Hyun's Man is a good drama. I like the male lead, he's smart and cool. Watched a lot of Lee Sun Kyun's movies though, A Hard Day is very good. I realised that even he always has the voice, but in the movies I've watched he only use it to, you know, talk. But in MA, they really utilized it to the max. PDH speaks mostly in low tone, rarely rise his voice even if he was annoyed (only if he was very angry or emotional). That low tone, beside as the reflection of PDH's character (his gentleness; the child who never ask for anything, if he asked for food that means he's really really hungry), also is the best way to enjoy his voice. A fanservise to Ji An and the rest of unsuspecting audiences. Who needs shower scenes when you have that voice talking about internal and external strength, right? Right on, @widala. The best example of that gentle low voice is in episode 4, when he asks her to take medicine for her fever. 1. Dong Hoon yelling why, why, why! as he's throwing punches at Kwang Il mirrors his anger during his confrontation with Yoon Hee. "Okay, I’ve seen enough to feel like I get what vibe the drama’s going for, and it just isn’t one that grips me. There are a lot of elements about this show I find very compelling, but it just doesn’t feel like an organic, character-driven show, and my emotions are having a hard time being engaged. It sort of feels like the show was built the opposite of the way I prefer — setpieces and overreaching arc first, then back-filling in with character moments, rather than starting with characters and building out from there." Man, does the opposite of everything she said about Mr. Sunshine not describe My Ajusshi to a tee? You just spoke my words. Even I was thinking about the scene where he asks her to take medicine. At this point he had just taken her to task for kissing him and was not on speaking terms with her . But when he saw her fingers hurt I guess he couldn’t resist himself talking to her. He spoke in such a low tone with so much concern as if he dint want anyone else to hear him. The other scene that that had me with the voice tone is when jian tells PDH that she hates winter during one of their long walks. He then tells her that’s not something 20 year old should say. jian spoke in such a low tone it was almost like a whisper but the talk felt so initimate. They are actually sharing there inner most feelings during their walking rendezvous. What you said combined with the way @justamomtakes us inside DH's head to see things from his point of view remind me of LSK's last drama. My Wife's Having an Affair This Week employs this technique and we are treated to LSK's voice narrating everything. The﻿ best example of that gentle low voice is in episode 4, when he asks her to take medicine for her fever. My other favorite is in episode 8, when he's taking care of Yoon Hee who was depressed because the man she's having an affair with is -surprise surprise- a scumbag. He woke her up and told her to eat, he even prepared the food! But the gentleness in his voice contradicted with the impersonal way he touched her (just a little pat on the leg). Of course, this was the time when he still deluded himself that he can keep the marriage if Yoon Hee doesn't know that he knows about the affair. Once he knew that she knew that he knew (ha!) about the affair, even his brothers knew and everything's out in the open, he was like "go sleep in the sofa without any blanket on, see if I care". @h2ogirl, I finally had time to read your awesome post and came away very impressed by your eye for details. If KWS ever sees this post he'd give you an A+ for sure. Didn't realize there are so many traffic signals, and also, it took me a while to realize there is a "caution" sign in many scenes. Are they all the same sign? This scene above (red to green) also points to a new Dong Hoon, one that is announced by the preceding confrontation with the villa owner at the end of episode 4. The walking zombie is about to wake up. rewatching My Ajusshi with the same schedule as Japan broadcast, last Saturday up to ep.4. during this rewatch, I felt that the humour in this show which came mostly through of SH and KH still cracked me up. *ep 3: money lender agent that came looking for SH, and SH successfully failed to pretend that he isn’t SH with KH exasperated. that scene might be something that has been repeated many times in a drama comedy (with a spot-on backsound), but here in My Ajusshi it never failed to give me lol time. I’m sure that in early as ep 1, the foundation of that temptation has been laid on, in that ladybug incident. DH seen JA’s face upclose and personal during that incident, so I’m sure that then and there DH has silently acknowledged that JA is pretty (first step of temptation: physical attraction). thanks again for you guys who keep developing and updating the fansite, the last one I read and enjoyed so much is the one with parallel of the affair, a really good one! and please could someone help to confirm whether the location of the kiss in ep 3 is the one when DH rceived JA’s farewell call? I seem stubbornly sure that it’s the same place hence the camera paning and emphasing the spot in that heartbreaking call in ep.14. So instead of watching another Korean drama I went back to watch one of my favourites, In the Mood For Love. And more than ever, I'm convinced that Oh Hae Young / PD Kim were inspired by In the Mood For Love. What is the one memento that Chow Mo Wan keeps to remind him of Su Li Zhen? The one 'love gift' PD Kim uses in his shows? Her slippers. Left in his room while she was "trapped" by the arrival of outside guests for an all-night mahjong session. Many years later, after they part, she somehow finds her way to Singapore where he has moved, and ends up in his room. Chow returns and the room is empty - but he knows someone has called. He sees a single lit cigarette still burning on an ashtray and starts searching his room--the slippers are nowhere to be found. It's been a couple of years since I watched the show, maybe even a decade, and watching it again--this truly is a masterpiece. My Ahjussi reminded me so much of the feelings I experienced watching In the Mood for Love and I wanted to watch it again to remember why. Here's another memorable scene with parallels to My Ahjussi. While Chow and Su have been meeting over dinner, discussing writing, books, they each keep reminding themselves they are different from their cheating spouses. They will not even go anywhere near the line. Here's the particular dialogue. Tony Leung - Chow Mo Wan, Maggie Cheung - Su Li Zhen. SLZ: You looked for me? CMW: I thought your colleague didn't pass my message. I wanted to buy a boat ticket. SLZ: You have to go somewhere? CMW: Ah Beng sent me many letters. He doesn't have enough people, he wants me to go over and help. SLZ: How long are you planning to go? CMW: I don't know. Let's see when I get there. SLZ: It's fine as long as we know nothing happened. SLZ: I didn't think you would really like me. CMW: I didn't think of it either. (pause) Back then we kept wondering how they started. Now I know. It turns out a lot of things are like that. I thought I would be fine...then I started to worry about what time your husband would return. Best if he didn't. I know, it's not right of me to think like that. The gender roles are reversed here. Su Li Zhen (Maggie Cheung) is like Park Dong Hoon, unable to extricate herself from society's expectations of her - "I know you won't leave your husband." Ji An knows too, that Dong Hoon won't leave Yeon Hee. Not with all the rumours swirling about her and Do Joon Young and their marriage. He will stay just to prove them all wrong. And so, like Chow Mo Wan came to realise, she must go. And so to save Dong Hoon's goodness, to save the integrity of their relationship, she sacrifices herself. Just like Chow Mo Wan sacrifices himself -- so they will never, can never cross the line, and to protect Su Li Zhen's goodness. To protect her good name as a married woman. I rewatched episode 11 and first part of 12 last night. So many things happen in episode 11, but for now, can someone tell me what to think of this? It's the famous scene: the heart sign "opening the curtain" to reveal Ji An on the other side. But just before that DH sees a white car with a sleeping passenger in the back, followed by a red car with another sleeping passenger in the back? What the heck? These can't be random? The scenes go with the voiceover from Dong Hoon’s flashback. The sleeping guys represent Dong Hoon’s state of mind before meeting Ji An, his state of mind in his marriage. Inactive and just going along for the ride. But Ji An’s love for him woke him up, and that is the way out of his twenty something year long slumber. That's what I thought, too, but that seems obvious so I was wondering if there is more to it. And two cars, one of them red? Did I ghostwrite this? I cannot tell you how many times I re-played that scene when the episode first came out. And I also have no idea why I loved that short scene so much. @h2ogirl - your post on the traffic signals is kinda incredible! I can't believe how well so many things line up? I'm going to pay attention to this the next time I rewatch any of the episodes. And I finally checked out the fansite! Wow you guys are truly the MVPs. Thank you so much for putting it together. I can just imagine so many new fans of the show just stumbling onto this treasure trove of goodies. Didn't realize there are so many traffic signals, and also, it took me a while to realize there is a "caution" sign in many scenes. Are they all the same sign? Haha, I know right? If they were the same sign, then I grouped them under the same heading. By the Stop + Caution signs, I meant the group of three signs by the railway tracks (see below). Interestingly, in this Ep 6 scene above, the Caution sign doesn't appear at all! But it's shown clearly in the Ep 15 flashback (same scene but from a different perspective) when Ji An remembers Dong Hoon saying the exact same words he told her, and then apologizes over and over. How can I not think that the PD-nim consciously put this sign in?! Yes, so intimate. I know this doesn't compare, but the other day I was strolling with my best friend through her neighborhood during sunset, and it felt like such an intimate moment. I can only imagine how much more intimate and cozy it felt for two soulmates to stroll together, in the dead of winter, so late at night. Like @sadiesmith said, it's amazing how well this show is holding up no matter how much scrutiny we put it through. Just goes to show it's A+++++ quality.